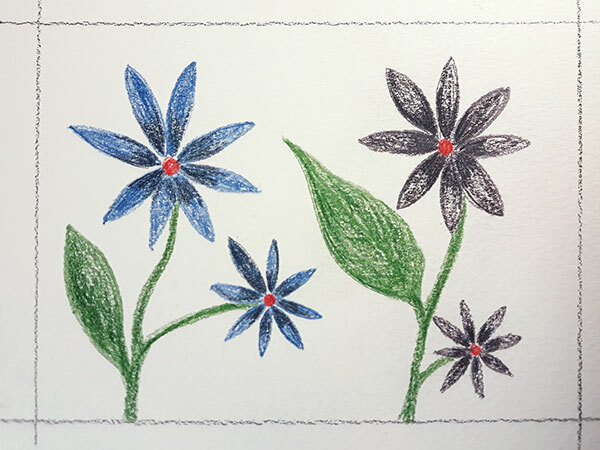 This entry was posted on April 9, 2019 by Allison Holland. 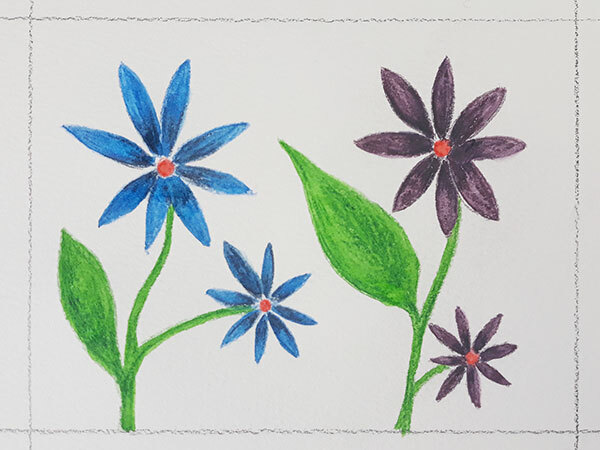 I've had a little play with the Derwent Inktense Pencils on watercolour paper. I won't win any prizes for my drawing but it does demonstrate how satisfying it is to use these water-soluble pencils. The pencil core (or "lead") feels quite waxy on the rough textured paper, and the pigment transfers easily. I used two different colours on each flower to see how they would blend together when wetted. 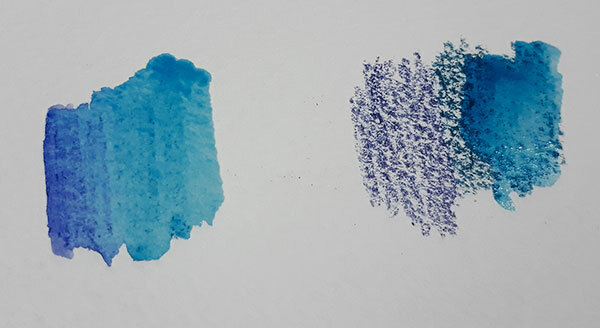 When water is applied over Inktense pencil marks, the lead dissolves in the water to make an ink. These ink marks are permanent once they have dried, making the pencils useful for all types of surface decoration. In addition to paper, they can be used on fabrics such as cotton and silk. 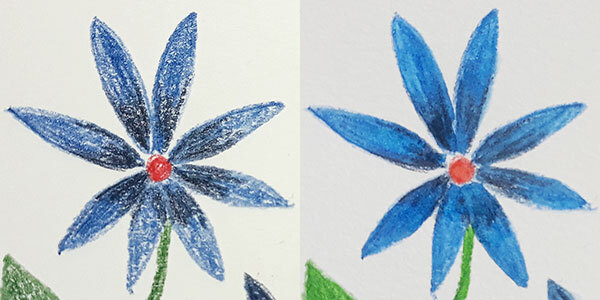 The example on the left shows two colours which have been blended with a small amount of water. The example on the right shows the pencil marks as they are dissolving. 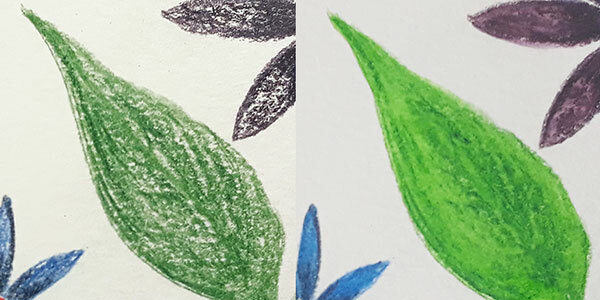 The previous example on the left was allowed to dry and new pencil marks were made over the top. I used a very wet brush over the top of these new marks and created a wash by dissolving the pigment. Note that the original mark has become permanent. 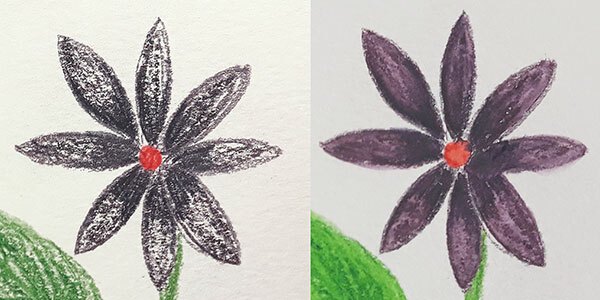 This demonstrates how the Inktense pencils can be used to create layers and washes of colour. It is important to ensure that all the pigment has dissolved between layers if you do not want the colours to run into each other. 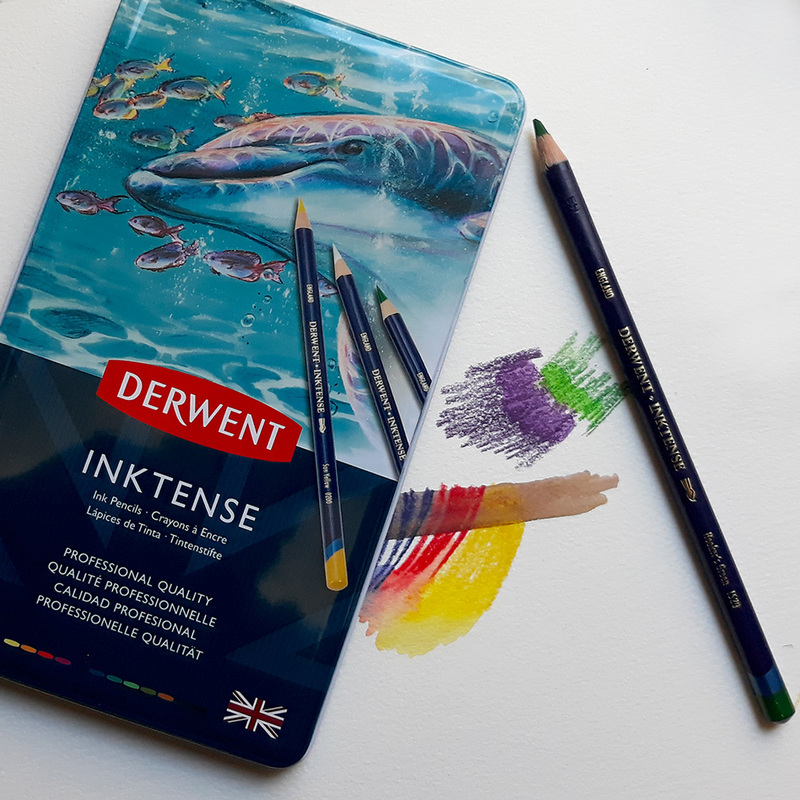 In addition to the Derwent Inktense pencils, George Weil also offer the Derwent Inktense blocks. These are used in the same way as the pencils and allow for broad strokes of colour to be applied. They can also be used like a watercolour pan by taking the colour directly from the block with a wet brush. 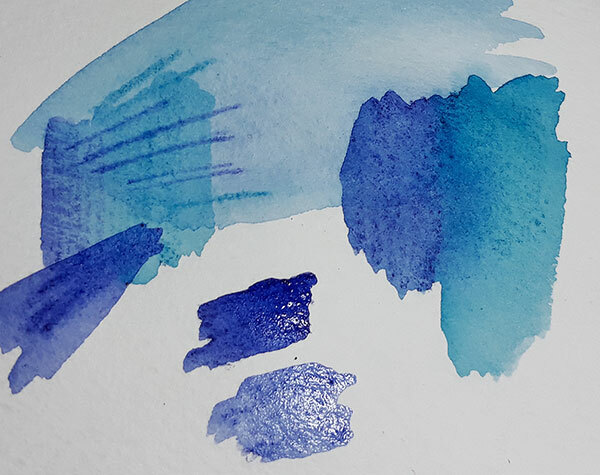 The true ink colours of the versatile Inktense are not apparent until water is added to the pigment. I took care to remove excess water from my brush as I traced over my drawing.